Office chair Model 436 without armrest. 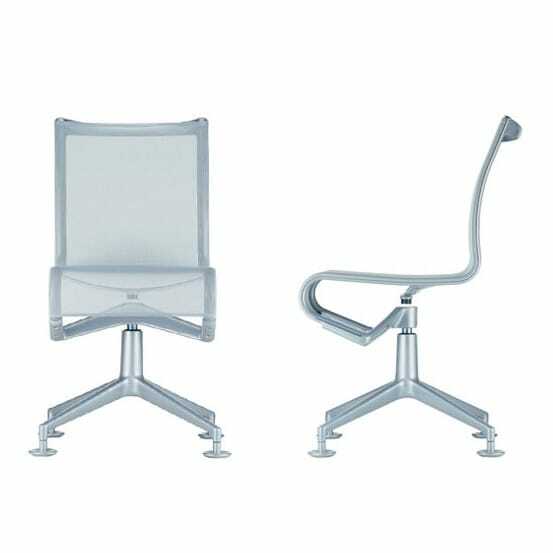 ... is a chair from one of the 7 different types alias has developed since 1994. the frame is made of die-cast aluminum elements, the covers of polyester mesh coated with PVC. the upholstery is available in 11 colors or in leather. the frames are available in matt painted, polished or chrome. swivel chair and armchair with 4-star base with glides. structure composed of extruded aluminium profile and die-cast aluminium elements. seat and back in fire retardant pvc covered polyester mesh or black leather. Do you have a question about "Meetingframe"? How can we contact you?